with the perfect marriage of competence and informatic disciplines. From then our services are turned principally to corporation and professional.. The Caronte Antispam software, came out for corporation survive, known that the 99% of our users are corporations, the primary goal was offer a quality and efficency service. Willing to pay even big amount of money to resolve the spam problem and improve our services, we have tried many antispam software, asking help also to leader corporation of the sector, but all of these software have failed to answer to our request. - the continous buying of new hardware for the management of superflous load. - Not make our customer active in the configuration and learning of the antispam filter, with application or installation in their pc's. So Caronte Antispam came out, we have developed it for give us a "self sewing" service , like a cloth crafted by a tailor, in the true spirit of MADE in ITALY. For many people, this statement could seems a form, studied for a good marketing and reference. But it isn't! 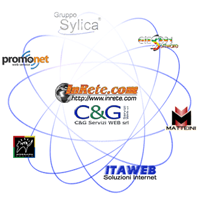 As said before, we are a small provider, no big numbers or turnover for astound the people, even if in our little world, the entire network of InRete.com with it's customer, receives about 200.000 emails every day. So we had the possibility to try Caronte Antispam in critical situations and debug it on a very battlefield.